Valet parking is offered, in addition to street parking and several parking garages. Live Music every Tuesday from 5:30 pm - 8:30 pm. Live Music every Sunday from 12 pm to 3 pm. 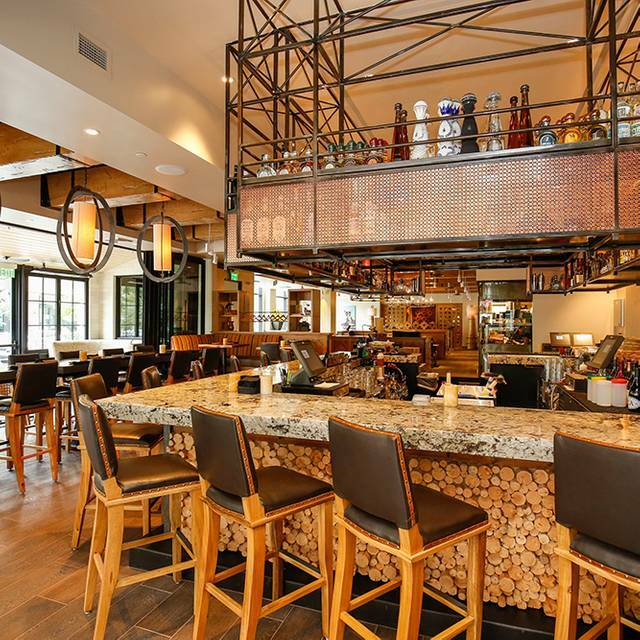 Our new location in Cherry Creek provides hands-on expertise from our on-site event planner, and will deliver a memorable event experience for any occasion. Whether you’re planning a large corporate event, or a more intimate celebration for family & friends, we"ll to create the perfect event for you. 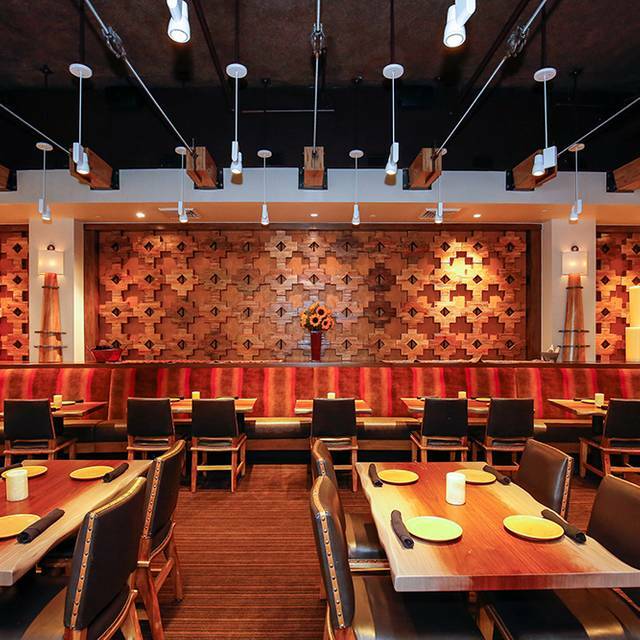 Various private dining room options, partial buyouts and full buyouts. 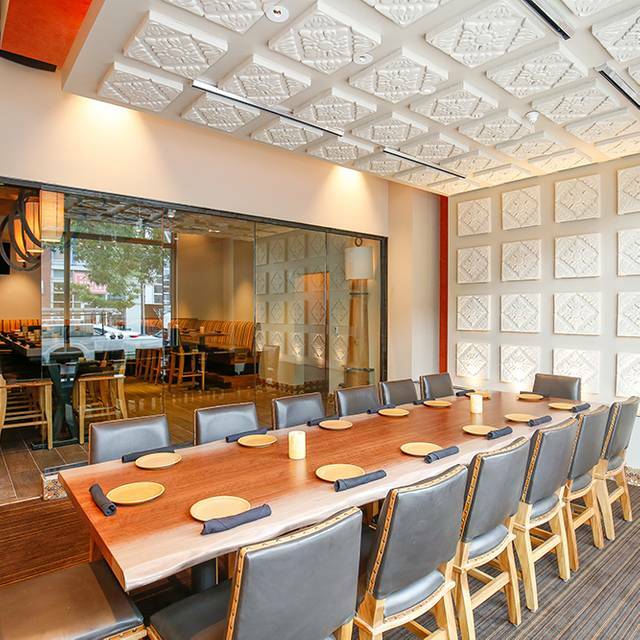 Private dining room capacities from 10-50 guests seated, 100+ as standing receptions. Full A/V capabilities in each room. Private bars also available. Event menus with a wide range of options from cocktail receptions with tray passed appetizers and stations, Chef-manned live cooking stations, cooking demos, seated and coursed dinners, family-style dinners, and specialty buffets. 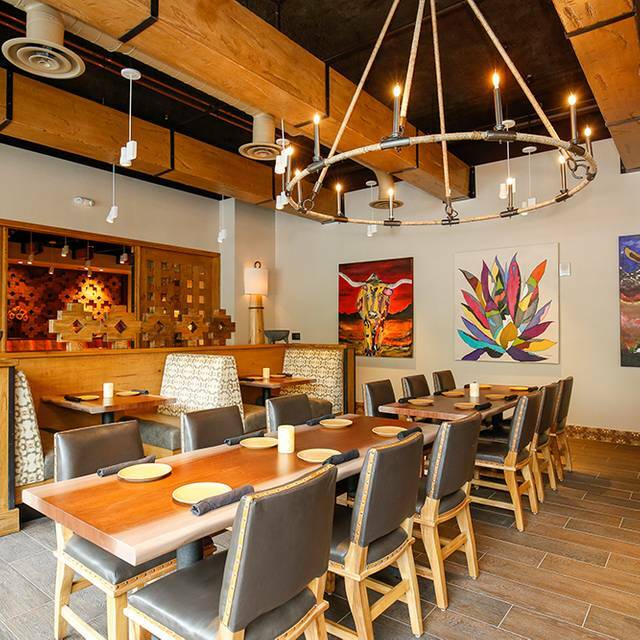 The Best of Baja in the heart of Cherry Creek, SOL Cocina offers an upscale, yet inviting dining experience. Executive Chef Deborah Schneider, a 2009 James Beard Foundation Book Award Nominee, has created a menu of contemporary and gourmet interpretations of Baja street cuisine, inlcuding antojitos, street tacos, cocktels de mariscos and main dishes made with fresh seafood, wood grilled meats, local produce and salsas that are all made fresh daily. This Mother's Day, treat mom to brunch! 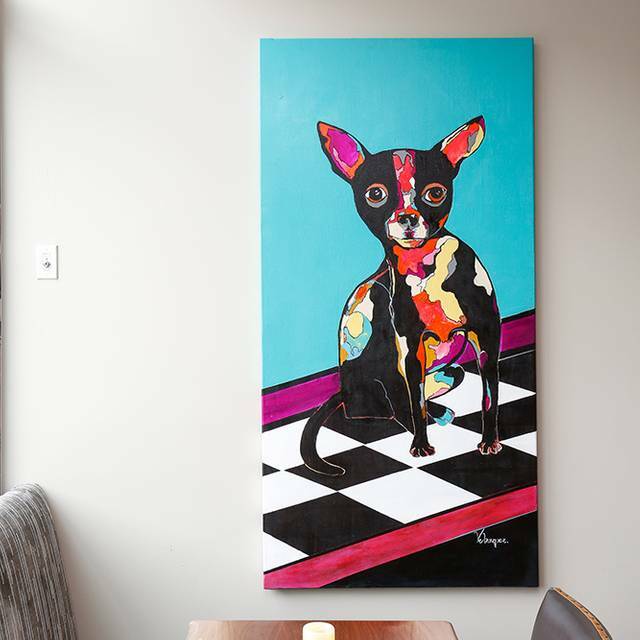 Enjoy SOL's authentic Mexican cuisine and new brunch cocktails in a fun & sophisticated setting. Live Music every Sunday from 12pm - 3 pm. Brunch, served Saturday & Sunday until 3pm. This Father’s Day, give dad what he really wants! Grilled Kobe Skirt Steak, Beer Battered Fish Tacos, Short Ribs, and Carne Asada Street Tacos. Live Music every Sunday from 12 pm – 3 pm. Celebrate Easter with family and friends over brunch! 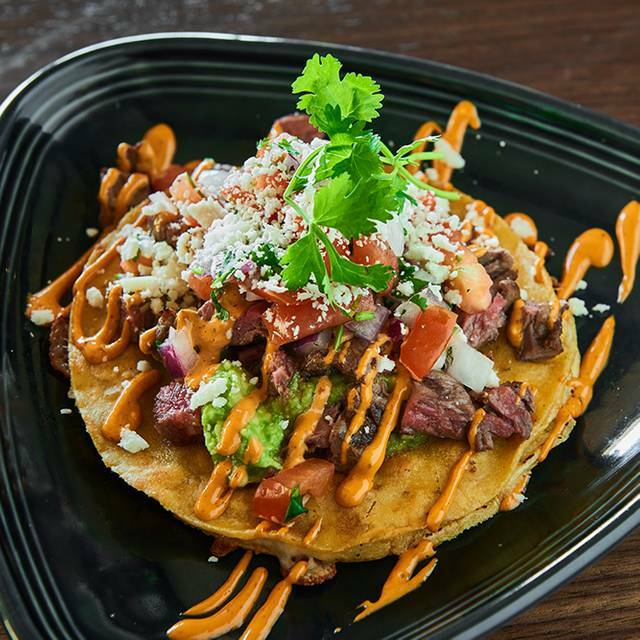 Enjoy bottomless mimosas, brunch cocktails, and the best Huevos Rancheros in town. Live music on Easter Sunday from 12 pm to 3 pm. We waited almost an hour for our food because there was a large party that had to be served. The staff was very apologetic about this. When our food finally arrived I found a short black hair in the center of my egg yolk. It had been covered up with cilantro. It’s a good thing I don’t like cilantro and removed it before starting to eat. Rather than wait another hour for a replacement, I told the manager I would share my friend’s meal. The food was very good but, you guessed it, after eating several bites I found another hair. We were not charged for our meal but, needless to say, I won’t be going back. Fabulous food and service. The relleno’s were outstanding. Main dishes were good but side dishes were average. Slightly upscale Mexican. Good margaritas! The food here wasn't bad at all. When I think about it, I actually liked the food. What I didnt like was the waiter and how he treated my fiance and I. He was so rude that we pledged to never spend money there agin. The food was a bit overpriced but again wasnt bad, not spectacular but not bad either. I visit SOL whenever in Denver. Food is always great. Great place to meet up with friends or date night. Sol has been one of my favorite restaurants since it opened. It took forever to get a drink order in this particular night, but it's usually not a problem. We ended up ordering our drink and meal at the same time. Our waiter seemed extra busy. But it's a cool place with amazing food! I'll keep going back! Always good and always consistent! Favorite restaurant!! Wonderful food and company. A visiting friend from Alaska and time to catch up. We both enjoyed all that Sol offered. We had a great private room for our book club luncheon. The service and the food were top notch. The calamari is the best in Denver. All the tacos we had were delicious. We will come back soon. The food was delicious and the staff was so wonderful! I got my plate and forgot to ask for no tomatoes. The wait staff immediately took my plate and brought me new tomato-less food in a timely manner. We all loved the tortilla chips & salsa! The corn appetizer was fabulous! First time dining with family in Cherry Creek area and so glad an area resident recommended! Love it! First time and the food was amazing. Can’t wait to go back! I have given this restaurant 4-5 tries. Nice atmosphere and good service. The food is just bland and unremarkable. Much better Mexican restaurants if you are willing to look around. We had great service! Our waiter was very helpful with making recommendations and our dinner was great. We will definitely be back. The food was delicious and the service good. The tacos are hugeeeee. I also really enjoyed the fresh tortilla chips and the salsa. Gosh I wanted to have a great brunch. Unfortunately everything was poor. The service was awful. Wait 10 minutes for a server wait 15 minutes for a drink. Never did get asked if I wanted a second one. Had to ask for a refill in the chips... which we were devouring as it took forever. The manager (?) who delivered the food, which was a different person then delivered the drinks, which a different person then the waiter. Yeah that kinda disjointed. Anyway when handing the ceviche to the table it sloshed onto the floor. He didn’t wipe it up... didn’t say a word... my shoes smelled great. Ugh. This was my first visit... will be my last. The skinny margaritas are amazing and we just can''t get enough of the corn appitizer - makes for a fun evening. This place experience remain very consistent. I'm lately impressed by the speed of service; for example, less that 2 minutes from seating down, the waiter already brought to the table chip and salsa, and water. Wow we had so much fun, our server made the experience so nice and they even showed my son the kitchen and brought out an unexpected dessert for my mom on her birthday, it was a lovely experience and we will be back! I had an excellent experience at Sol Cucina. My friend was visiting from out of town and I wanted to take her someplace special to celebrate her birthday. I couldn’t have picked a better place. The food was excellent, the service amazing and I especially liked that this restaurant participates in Denver restaurant week. This will be my ‘go-to’ restaurant when entertaining guests. 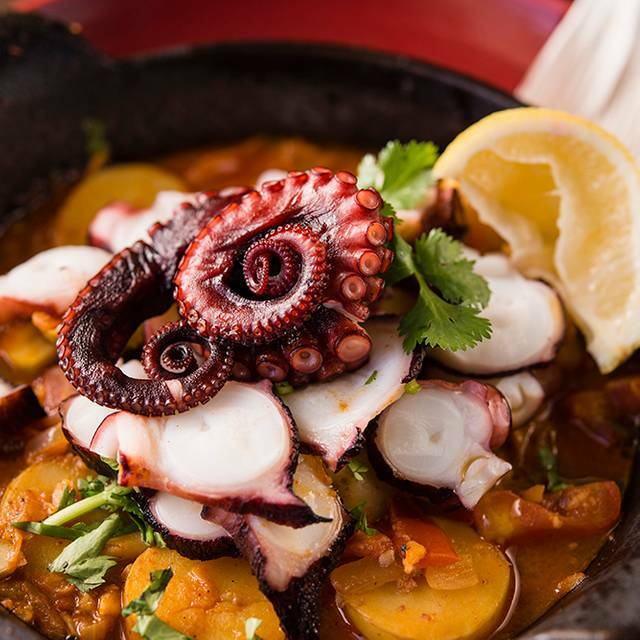 This is not your typical Mexican restaurant. This is a unique menu. Drink menu is quite expansive. Both food and drinks are very pricey, though. I loved their salsa and black bean dip they served with the chips. Fantastic dining experience! 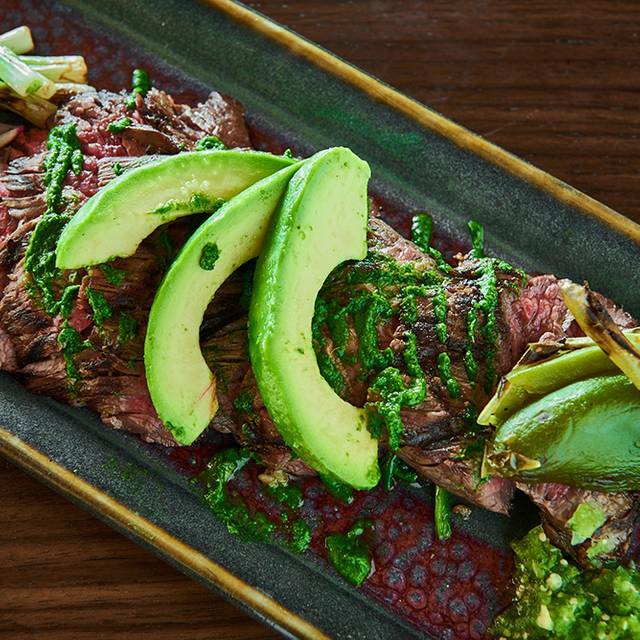 Excellent food- the Kobe skirt steak is absolutely delicious. Great environment and service. We will be back soon. Excellent service and food as always. Can’t wait to go back and try more items off the menu as most dishes sound wonderful. Definitely a go-to-place in Denver. Fun, “sceney” mexican. Good drinks, chips and guac. The tacos are flavorful. Restaurant is very loud, food is good, but service is spotty. This would be a great place to go for drinks, but I wouldn't recommend for families. Margaritas are made from a mix, which was underwhelming. Great options for vegan and vegetarian life styes. Overall extremely impressed with our visit. The restaurant was very nice inside, really liked the glassed in kitchen. Service was great. Food was wayyy better than what we expected. Honestly one of my new favorite restaurants in Denver. Loved the coconut calamari. Burrito with chipotle shrimp so good. My boyfriend had duck with a spicy blackberry sauce! Loved the chips and salsa, house margarita, calamari and grilled sweet corn was excellent. Taco’s were also very tasty and interesting. We will be back! Food was great, Sam was awesome. Bartender served us a tequila that was not Casa Noble. Any one who knows tequila, knows some tequilas make a person sick. We had one drink and terrible hangovers. Very disappointing to get the wrong tequila. Will likely never return. Went to Sol for Valentines- food & drinks were good - we had been there 2 other times over the last couple of years - Really didn't care for the waiter- The restaurant was surprisingly not that busy for the holiday, but he was clearly stressed and didn't hide it well. Very abrupt and sharp. 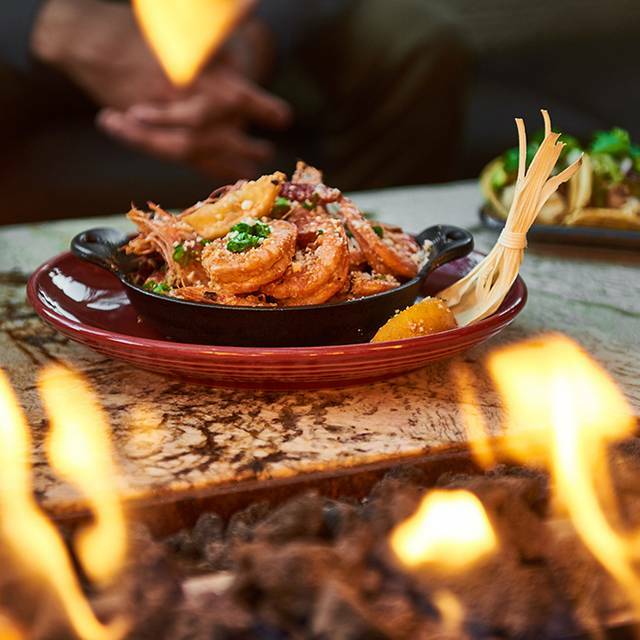 Delicious Baja style cuisine in a beautiful atmosphere and attentive and friendly waitstaff who sat and served us quickly. Fantastic place for Sunday Brunch. Food was fabulous! Chips and salsa are very addictive! Love this restaurant! Always welcoming for our family of 5. Some of the best Mexican food in Denver. Great food and wonderful waiter! Went for a birthday on Taco Tuesday. Great food, great service, great value, great live music! Would absolutely recommend!